If you’ve just been offered a new job then let us be the first to offer you a warm congratulations! 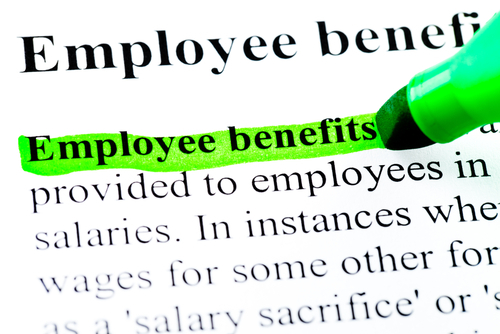 But before you make your decision about whether to take the offer or not, there are a couple things about Employee Benefits that you should remember to ask about. If you’re a frequenter of our blog, you’ll know that the team at Health Risk firmly believes in the importance of vacation time. Research continuously backs up the importance of time off to de­stress. Not only does it give you an opportunity to relax, catch up on sleep, and reconnect with friends and family, but vacations also help employers. Workers with a week or two off every year are more productive when they return. Make sure your new employer values your long­term health by asking about their vacation policy. While many young people who are just beginning their career paths don’t even consider parenthood as a stretch goal, the fact is most Canadians will become parents at some point. And besides, even if you don’t think parenthood is right for you, it doesn’t hurt to know about your potential employer’s parental leave policy. After all, it’ll tell you a lot about how your potential employer views gender equality. Do they only provide leave for moms? Is there any leave for adopting parents? In some provinces, like Quebec, father’s get a minimum guaranteed 7 weeks of paternity leave. Make sure your employer is at least meeting provincial requirements, and you may be pleasantly surprised to find they’re even more supportive than they need to be! Like vacation, health and wellness days just make sense. An employee fighting off the plague (or a cold) isn’t just unproductive, they’re also at risk for infecting the entire office. It just makes sense that employers encourage sick workers to stay home and rest until they feel better. And we’re not just talking about physical ailments! Sometimes, you just need a mental ­health day. Your dog died, your mom’s sick, you and your spouse are fighting, or you suffer from depression. It doesn’t matter why. Everyone needs a day to themselves once in awhile just to remain sane. Ask your potential employer what their stance is on health and wellness days. While our provincial government health coverage is great for all the absolutely ­necessary, everyday sort of coverage, there’s a lot more to staying healthy than free access to a doctor or hospital. Health benefits are important, so don’t shy away from asking your potential employer what they cover. After all, if you’re still be paying for prescriptions, glasses, and dental care out of pocket, you may want to demand a higher wage or salary. Health benefits include a lot more than just renting crutches as well. There are so many health providers, from nutritionists to physiotherapists, so it’s useful to know what’s covered and what isn’t. Before accepting a new position, make sure you have all the information you need about health benefits. At Health Risk, our goal is to see all Canadians living better, healthier lives. For us, that means taking regular vacations and having the parental leave necessary to get through those first infant months. It also means health and wellness days are available to all employees ­­ not just the ones who can afford to pay their rent if they miss a day of work. And, of course, access to affordable health care should be a universal right. If you want to learn more about health benefits in Canada and how to help your employees live better, contact Health Risk today!